This article will explain what a preliminary hearing is, the role of a judge at a preliminary hearing and under what circumstances an accused person has the option of having a preliminary hearing. A preliminary hearing is an open court proceeding where a judge decides if an accused person should stand trial. At a preliminary hearing, the Crown Attorney calls evidence – usually by calling witnesses to testify. When the Crown Attorney finishes asking a witness questions, the defence lawyer gets an opportunity to ask the witness questions – called cross examination. After the Crown Attorney presents all their evidence to the court, the accused is then given the chance to call evidence. If the accused does not want to present any evidence, then submissions are made on whether the accused should stand trial. The job of the judge at a preliminary hearing is to decide if an accused person should be tried on the counts he is facing. The test for the judge is whether there is a scintilla of evidence upon which a properly charged jury could convict the accused. This means that the judge has to find that there is some evidence on the material elements of each charge before the accused is required to have a trial. The judge does not make this decision on his assessment of any witnesses credibility or pick between different theories. Therefore, while it may be obvious that a particular witness is lying, it does not mean that the accused will be discharged of the charges against him. This is because the role of the judge at this stage is to simply decide whether there is any evidence on a particular charge and must order the accused to stand trial if there is. Not every person charged with a criminal offence has a preliminary hearing. Only accused charged with certain types of offences or where the Crown Attorney elects to proceed on a charge by indictment get the option of having a preliminary hearing. An accused person has the option of having a preliminary hearing whenever he elects to have his case tried in the Superior Court of Justice. Judges who sit at the Ontario Court of Justice have the jurisdiction to preside at a preliminary hearing. The preliminary hearing is a great opportunity for an accused person’s lawyer to ask a witness questions and is generally the only time, other than at a trial, that an accused person is given this opportunity. If you have been charged with a criminal offence, it is important to speak with a criminal defence lawyer who can advise you on the best course of action. Mr. Luft is available to meet with you and discuss your case. 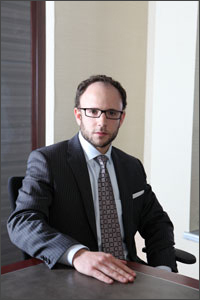 You can contact Mr. Luft at 416-433-2402 to schedule a free consultation.